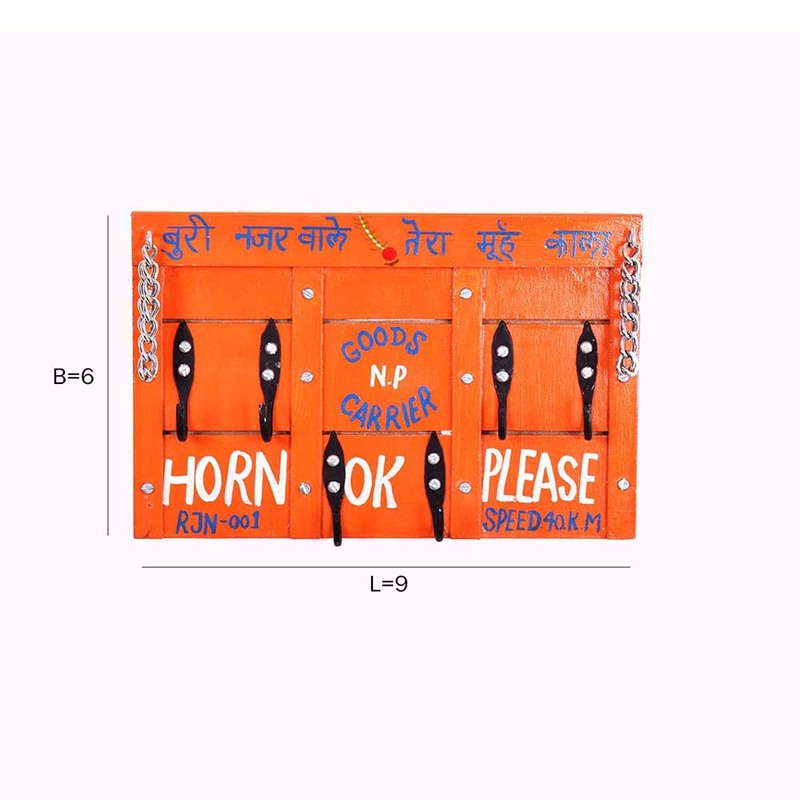 This key holder will look a lot familiar to anyone who has grown up in India. 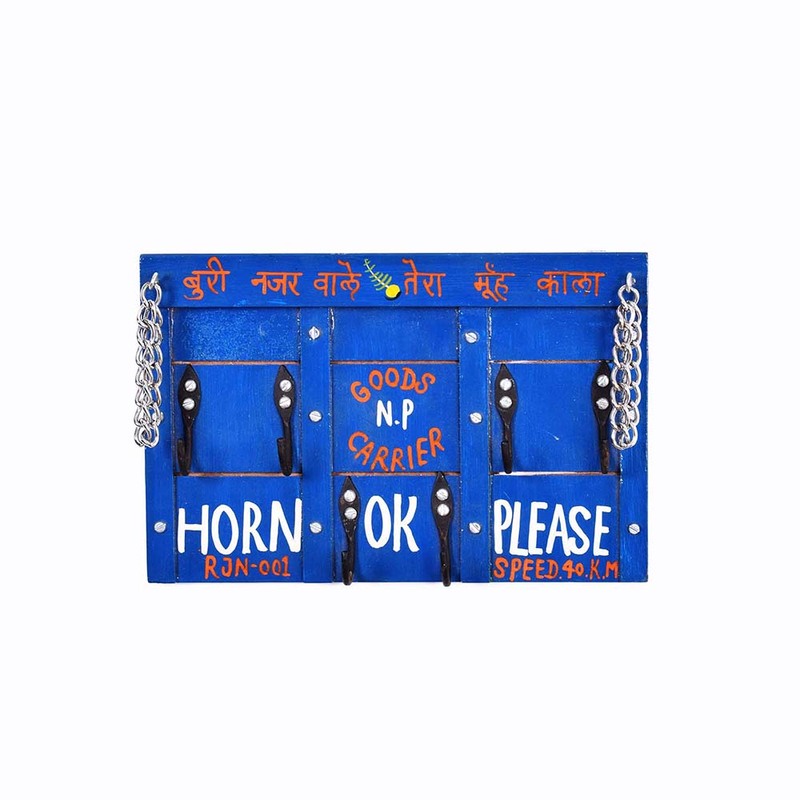 Sporting the famous ‘Horn OK Please’ which is written Read More..on the back of every commercial lorry or truck, the design is quite unconventional for a key holder. And this is the reason why this is must have. The bold design makes it perfect to be paired up with a simple background. 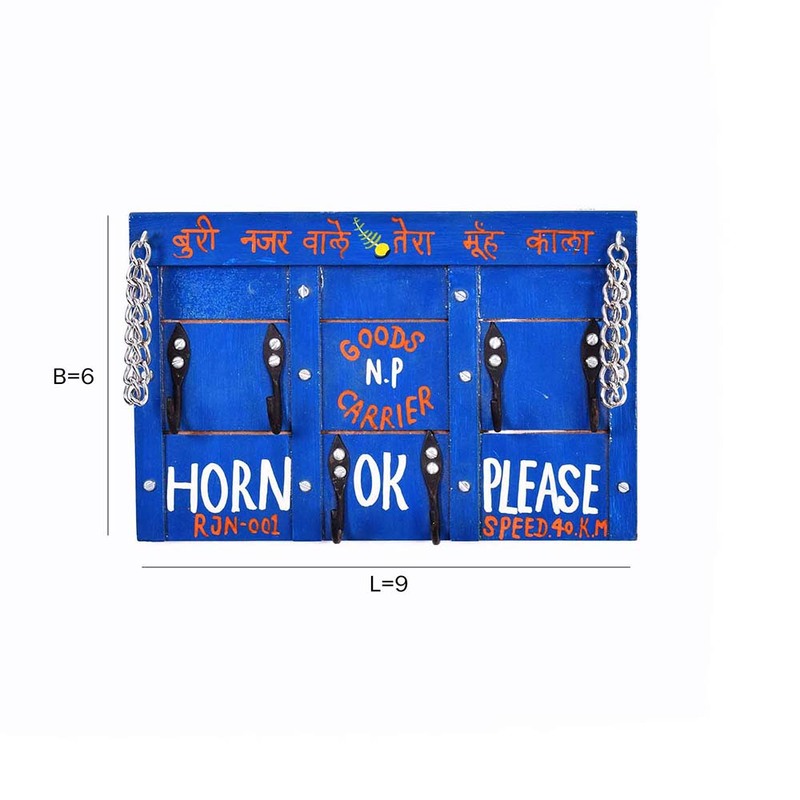 The key hangers are painted in black which also adds to the contrast. Show Less..